Transforming the region through ubiquitous products, services, platforms. 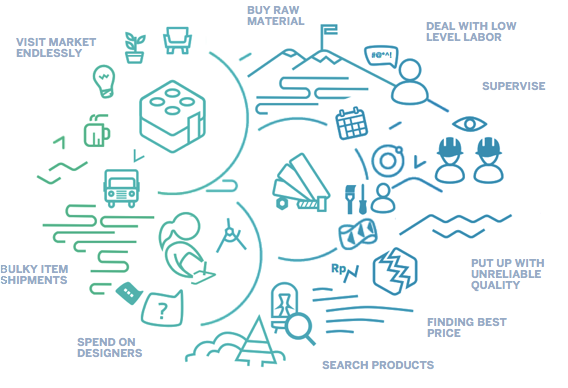 Dekoruma is an end-to-end discovery engine for Home & Living physical goods and services. Dekoruma dissects traditional inventory based solution in favor of distributed warehousing whereby each package will be shipped directly from the most optimized location, simplifying discovery and reducing intermediary cost of moving items and many-to-many coordination between services. Our architecture composed of microservices, powering 2 core products (Storefront and Merchant Central), 2 intermediaries (Cerebro and Pipeline) and other smaller products. Using Python and NodeJS, we rapidly extend their usage to build advanced stuffs overtime: Isomorphic JS, Shared flux core for Web/Native, Crawler, Distributed Indexing, Stock Prediction, Arrival Estimation, TF-IDF based Freq Bought Together, Similarity Model, etc. For deployment automation, we have continuous deployment workflow, whereby all code you write will go live to production within minutes after running tests. All releases immediately going to production (no-staging). In Jan 2016, we launched our MVP, being the first Home & Living shoppable magazine in Indonesia and currently in rapid growth of ~100% paying customer month to month. We are confident that you'll be joining one of the fastest growing startup in the region. As an end-to-end discovery engine for products, we are expanding to several exciting business lines these coming months (Email us if you are interested to know more :P). Home & Living vertical as one of three basic needs (sandang, pangan, papan) has been in status quo for years. We are building a complex platform to bring efficiency within its process. It requires new approaches to coordination and scaling, especially when most actors are still very traditional. We believe the space is huge, the industry are fragmented, and technology brings much value towards optimization and coordination. We pride ourself to have impactful results while being lean. We invest in tooling and onboarding experience to ensure everyone is up to speed. We love to have smart teammate that we can learn from. In fact, we are looking for additional team members that can complement us, be it the depth of things that you've spent your time on, insight on the business process that can be turned into products, or anything that benefit us. We promise a non-feature-chasing environment. We are open to both new grads and experienced engineers. We believe that the best product decisions are made by the people who are actually doing the work - engineers. We take great pride in building what we think is right for us - not because there's a manager telling us to do so. We own our own mistake when we're wrong, we learn and we move forward. We have modern application architectures such as microservices. Exciting new technology is great, but we don't favor premature technology with quirks & maintenance - we are pragmatic when choosing our stack and we always optimize for productivity / fastest to ship. We believe in automation & orchestration to help us become very productive. We want a hot button to deploy. We want a single button to rollback, to connect, to do everything. We try to eliminate dev ops as much as possible. Engineers build Dekoruma from the ground up, creating APIs and abstractions to solve challenging technical problems. If our core values resonates with you, lets have a chat. React Native, Data science stack (Kafka/Spark/Tensorflow), ML based feed, Geo-Aware Supplier/Shipment and Algorithmic Pricing. 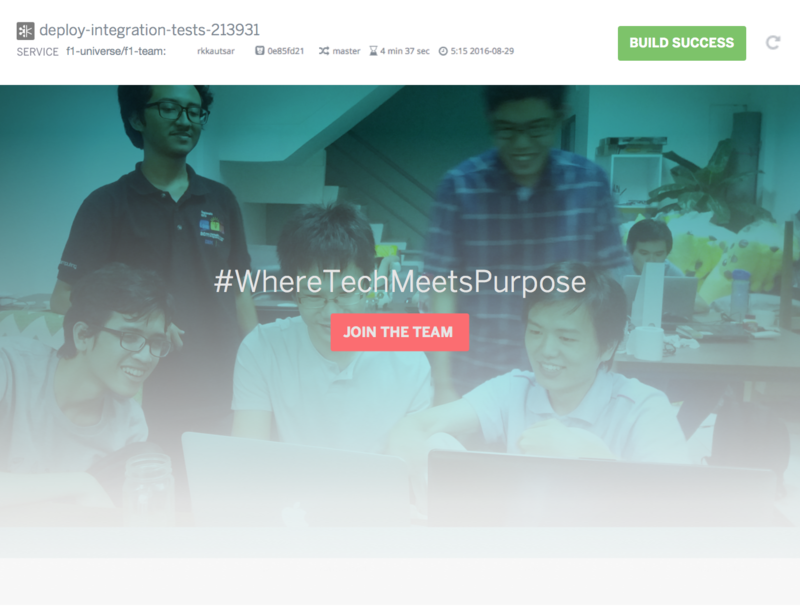 The initial version of this site was inspired by heroku (credit). Do check them if you need PaaS solution.